Our complete online catalogue is password protected. Why? Unfortunately, many infringers around the world steal artwork. 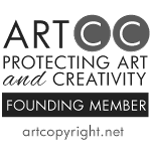 To protect our artists and our customers, we only give access to approved businesses and retailers in the art and art licensing industry. Once approved, you will be able to view up-to-the minute art releases, trend reports, catalogues and artist features plus create and save portfolios of images.